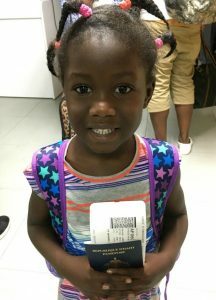 We are DELIGHTED to announce that one of the families in CAN’S Haiti adoption program has just come home with their daughter! They’ve shared several photos of their first moments as a family on American soil, and their smiles say it all. 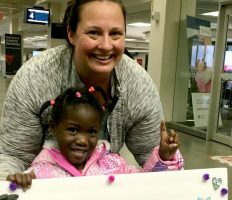 After waiting for their referral, traveling for their bonding trip, and finalizing all of their adoption paperwork, they’ve all been anticipating this moment for a long time. We’re so glad your Gotcha Day has finally come. 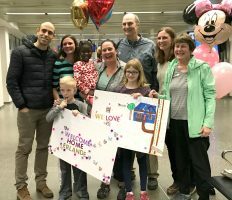 Congratulations from all of us at Children of All Nations, and welcome home! This beautiful girl is the third kiddo that has recently come home through CAN’s Haiti adoption program, and we are expecting to receive the news that a few other lucky families will be traveling very soon! We have seen so much exciting movement with this program, and we are constantly amazed at the change that families are able to make in these children’s lives. 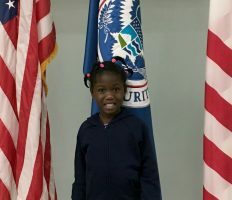 Haiti Waiting Child Adoption: If you’re open to adopting an older child, a child with needs, or a sibling group of two or more kids, the Haiti Waiting Child adoption program could be the right fit for you! There are still a few spots remaining in this program for 2017 – if you are open to adopting a Waiting Child or sibling group please contact CAN today for more information! 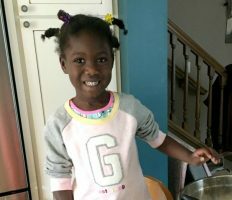 Haiti Healthy Track 2018: If you feel that a younger, medically healthy child would be the best fit for your family, you can still get started today! Families in the Healthy Track adoption program have to submit their dossiers to Haiti by a certain date. You can start your adoption process today to claim your spot in the 2018 Healthy Track program and get a jump start on the paperwork to meet your deadline! 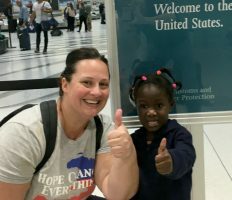 For more information on CAN’s Haiti adoption program, contact our adoption specialists today! She is a beautiful little girl and we are thrilled for her new family! Loved these pics!